We are all volunteers and this was a labor of love, we have spent months lovingly crafting and sampling the sounds. *** Optimized for newer iPads for best performance. Note: App will not work on older iPad 4 devices. "I love the sound of it. 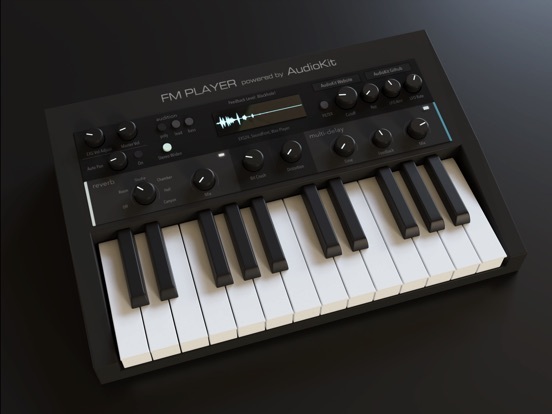 FM Player proves the iPad can be a great sounding, viable synth." "Sounds FANTASTIC! Did I mention it's free?" 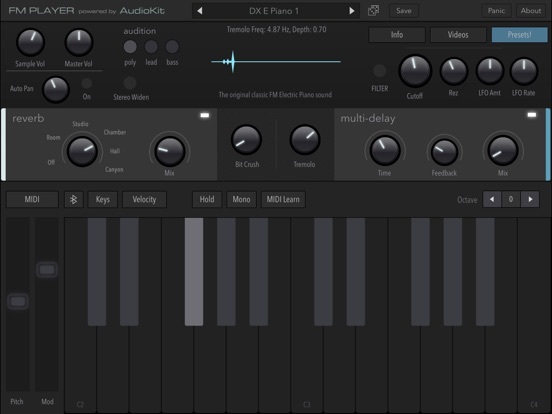 "Famous DX7 sounds with such clarity... this app captures the magic of the DX7." "The sound quality is incredible! Absolutely amazing!" + We are all volunteers, we do not get paid anything to make this app. We would be humbled if you checked it out. • BONUS: All features included Free. Plus, it's Ad Free! 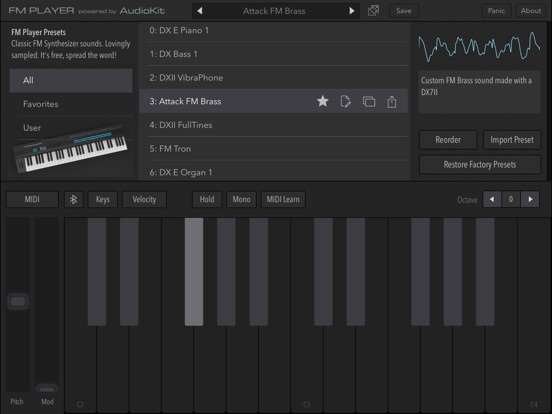 • Free and open-source, if you like the app, please support it by telling your friends and other musicians. And, leaving great reviews in the App Store! It's quick and helps inspire us to make more apps! • This app has no affiliation with Yamaha. It is a free & open-source project to bring the joy of music making to the world. We appreciate Yamaha's beautiful instruments. Thank you! In this update, we've made FM Player work better with older devices. You'll find the new buffer choices in the "Settings" button to the upper left of the keyboard. For older devices, you can set the Buffer higher to reduce crackling. + FM Player 2 is in the works. And, you're gonna love it. We're re-engineering FM Player so that we can make it AUv3. 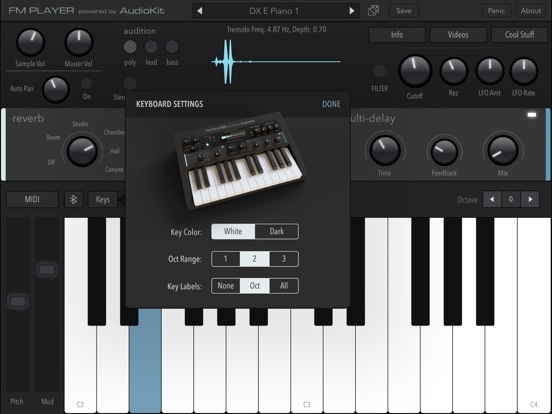 Plus, we just made AudioKit Synth One accessible for the Blind and visually impaired. We're on a mission to make music-making accessible to all musicians, worldwide.